My brother-in-law, loves coffee cake. 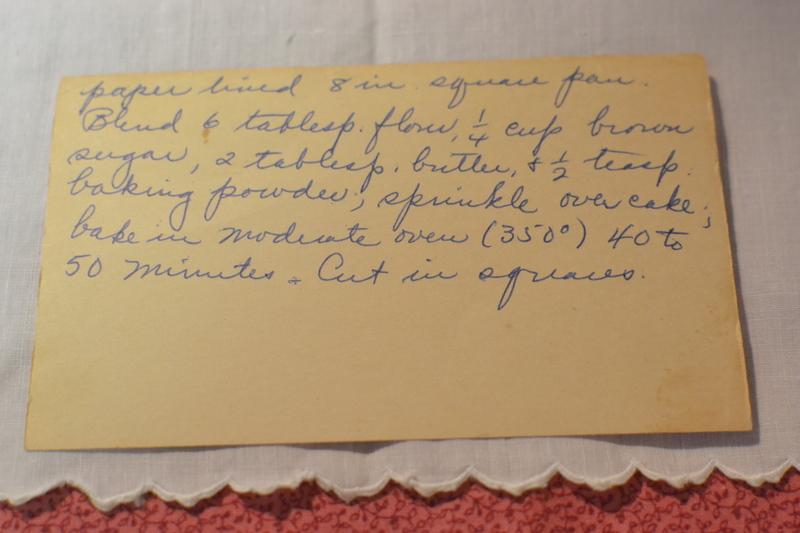 There are several recipes for coffee cake in Grandma Dora’s recipe boxes and he keeps suggesting we try one. One afternoon I was at Wendy’s house. She had dinner in the crock pot, so I decided to make muffins to go with it. Then, I remembered the coffee cake recipes and decided to try one of those instead. The Koffee Kuchen looked a bit different than the others, so I thought I would try it out. 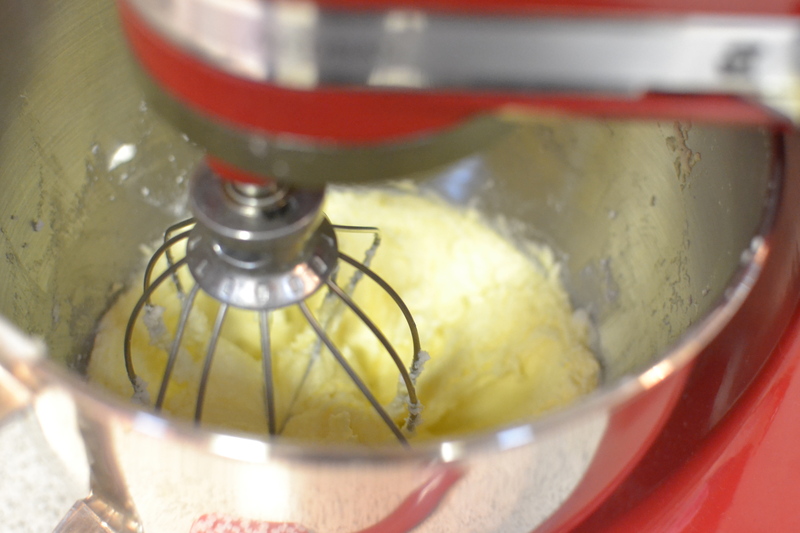 Cream shortening and sugar; add egg yolks. 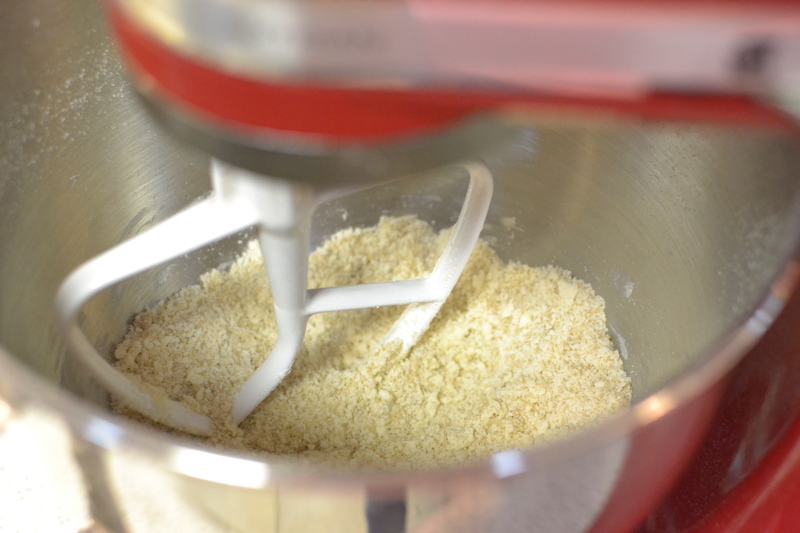 Add flour sifted with salt and baking powder alternately with milk. Fold in egg whites. Pour into waxed paper lined 8 inch square pan. 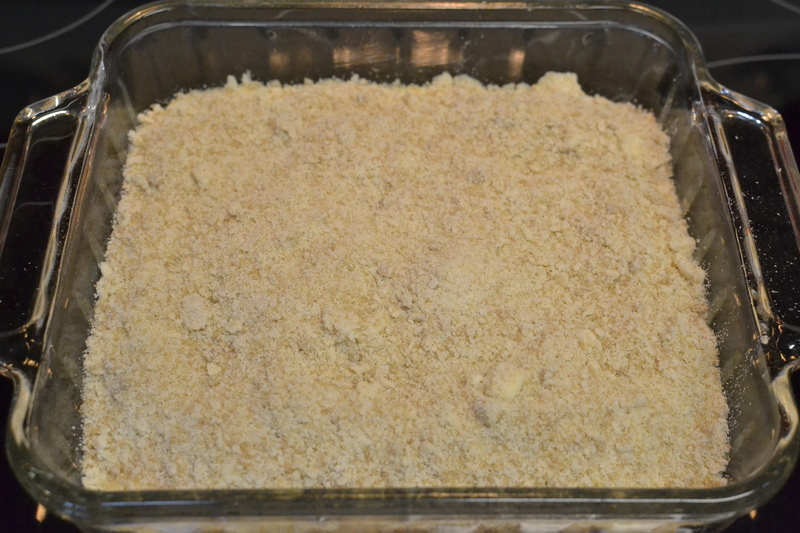 Blend 6 tablespoons flour, 1/4 cup brown sugar, 2 tablespoons butter and 1/2 teaspoon baking powder. Sprinkle over cake. Bake in moderate oven (350 degrees) 40 to 50 minutes. Cut in squares. I started out by separating the eggs and beating the egg whites until they were stiff. 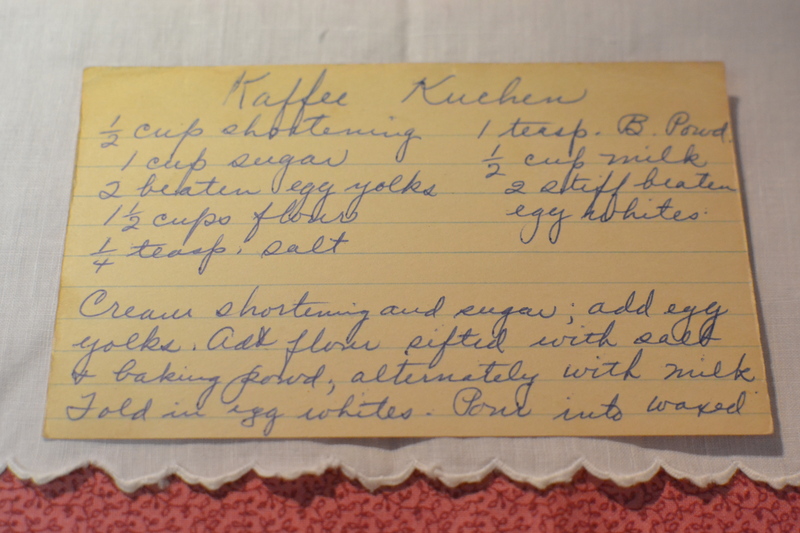 I then removed the egg whites to another bowl and creamed the shortening and sugar. I added the egg yolks. 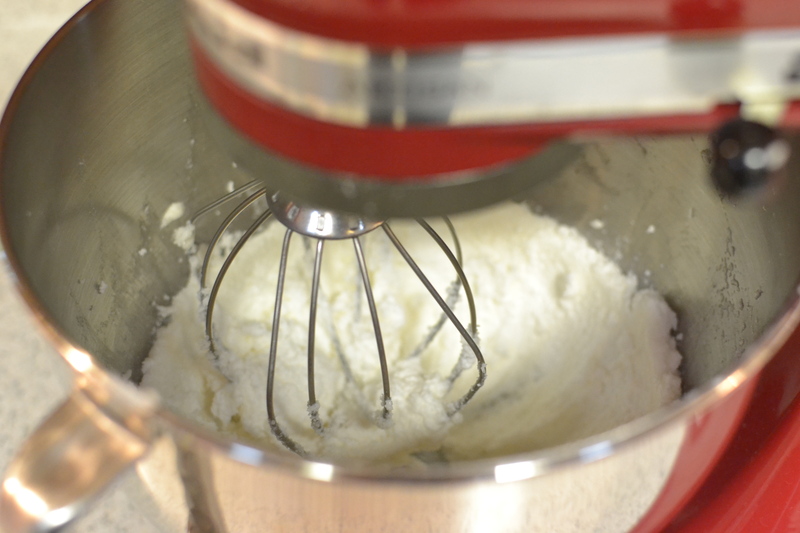 Then, I combined the dry ingredients and added them to the creamed mixture alternately with the milk. After that I folded in the egg whites and poured the batter into an 8 inch square pan (I did not line it with waxed paper although it is probably a good idea.). Then I blended the topping ingredients. This was an interesting, a topping with baking soda in it. I’d never made one like this before and was curious to see what it was like after it baked. I sprinkled it on the cake and put it in the oven. I baked it in the oven at 350 and after about 40 minutes it came out smelling and looking delicious. 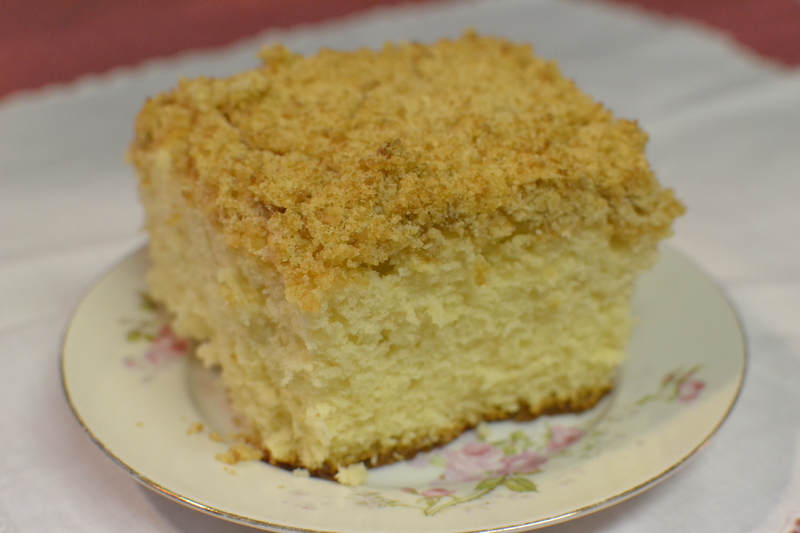 It tasted different that a traditional coffee cake – there is no cinnamon. It has it’s own distinct flavor. Even though it was my brother-in-law’s request, my dad is the one who ended up devouring it! Give it a try and serve it with coffee or just by itself. I think you will be glad you did. 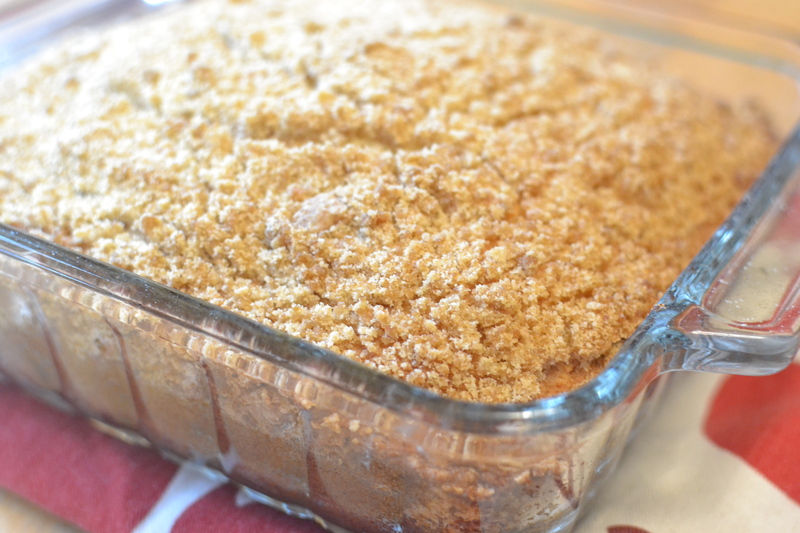 This entry was posted in Breakfast, Cake, Dessert, Uncategorized and tagged baking, Breakfast, brown sugar, cake, coffee cake, dessert, farm cooking, grandma's cooking, homemade, Kitchenaid, Pastry Cutter, scratch cooking by GrandmothersRecipeBox. Bookmark the permalink.